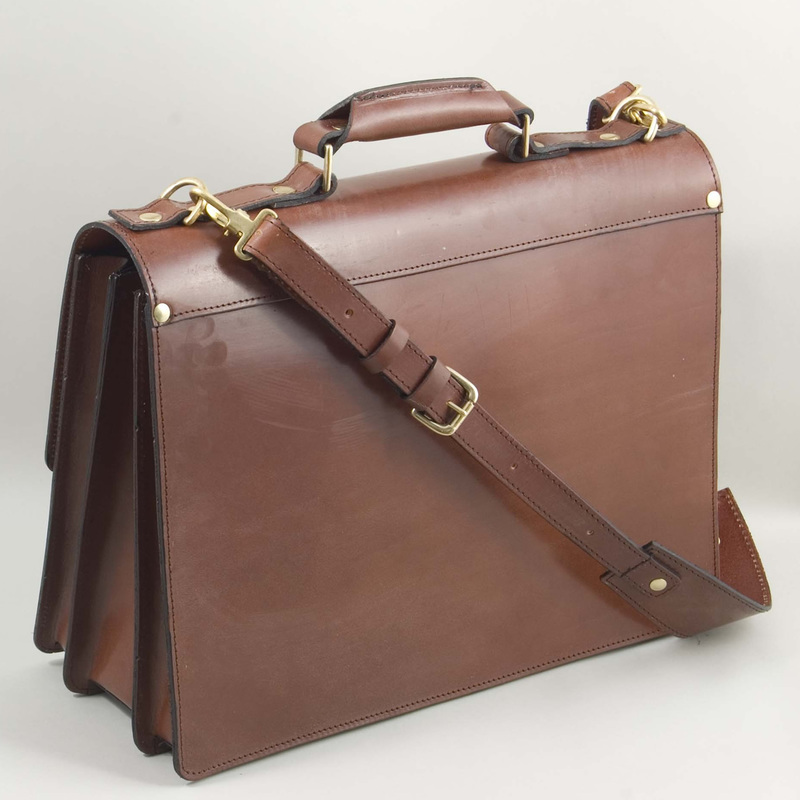 Henry makes all his briefcases from vegetable tanned leather because it makes a strong, handsome bag that is rigid enough to enable it to stand on its own and is roomy enough to accommodate most conventional laptops and files (If in doubt, email Henry the dimensions of any questionable articles). 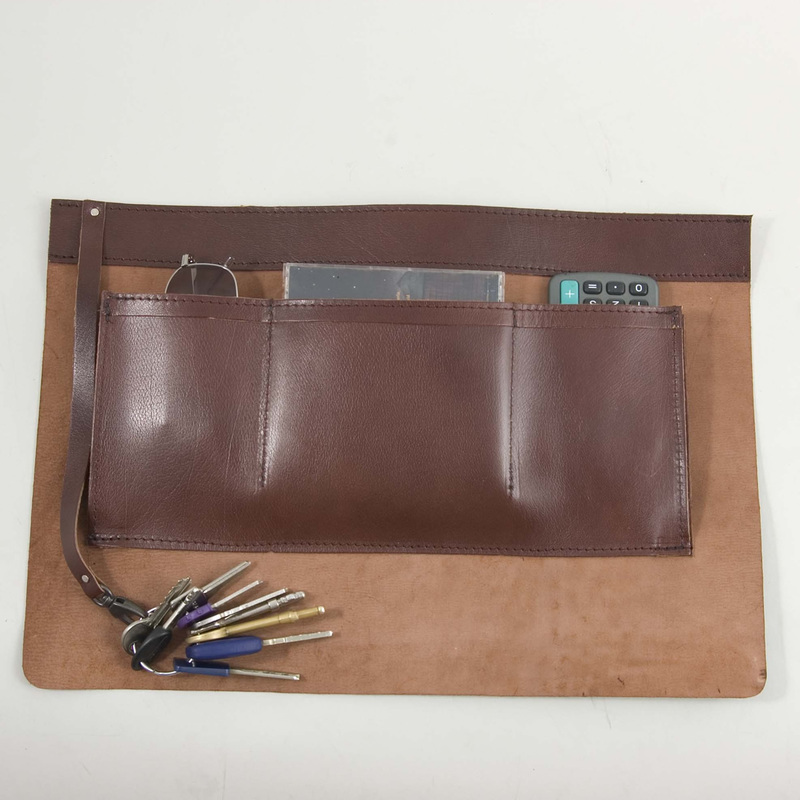 All central dividers and zip sleeve backings are made of leather. No cardboard! 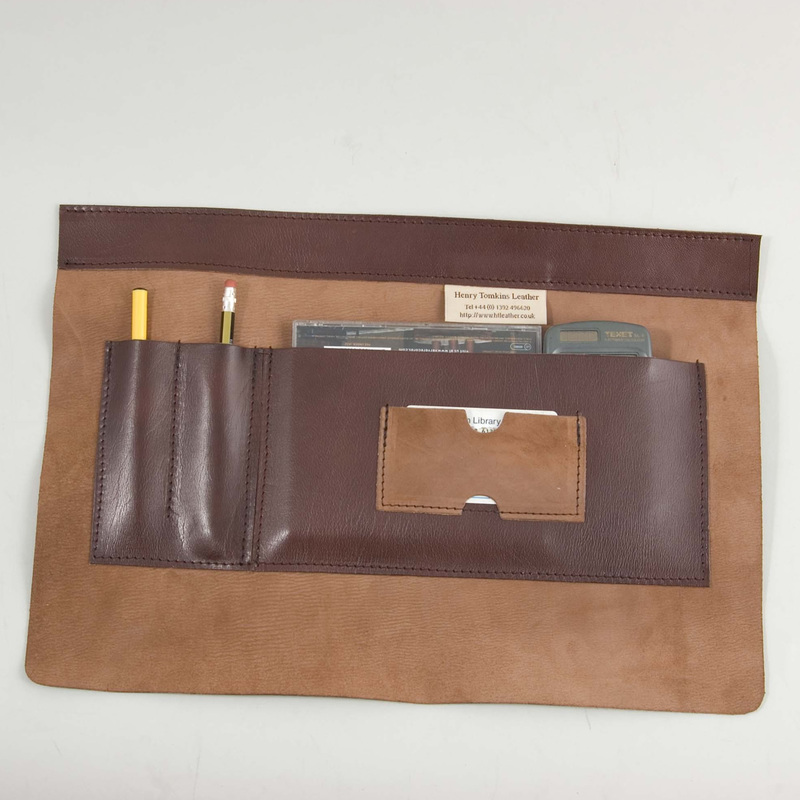 All briefcases have a flat pocket with a card sleeve and slots for 2 pens inside the bag. 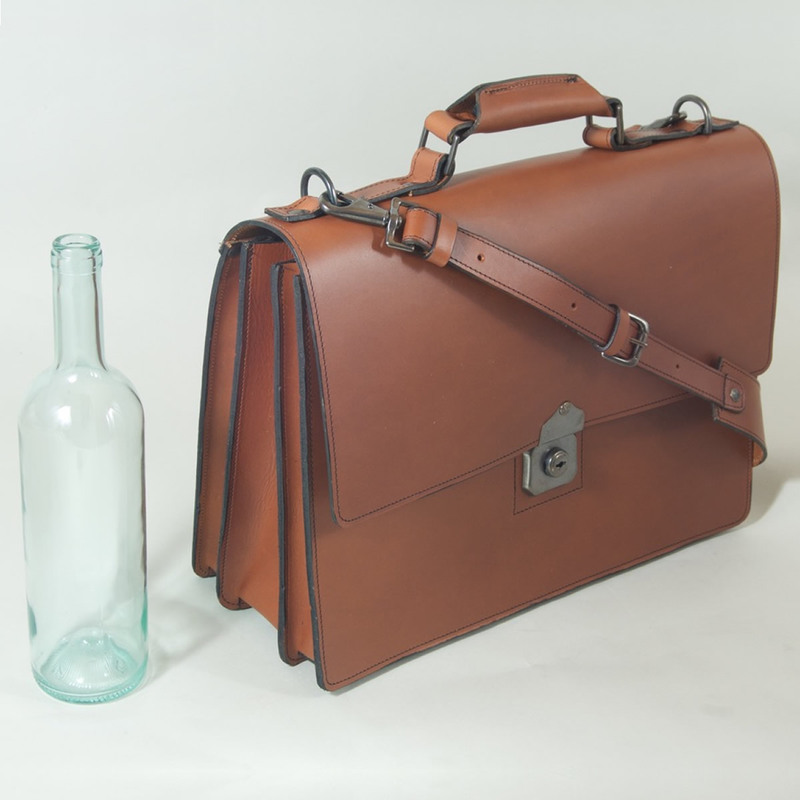 The Standard has three compartments, internal gussetted pockets and an detachable shoulder strap and Henry will make the bag within a special lead time of 10 days. If, however, you wanted to customise the design by adding or leaving out one or other add-on option, the price would go up or down accordingly but the lead time would revert to the usual 28 days. You can specify any changes you want in the ‘queries/requests’ box in the order form which Henry will confirm by personal email.